I don't eat a lot of red meat, but I eat a lot of poultry, fish, and dairy (in the form of yogurt, etc). ANd of course my beloved egg whites. I likely wouldn't be able to to go full vegan because my body just isn't great with beans and such, regardless of how high fiber I am able to keep the rest of my diet. "Good" veganism (where you actually eat the healthy stuff, not oreos) has been scientifically proven to have a MARKED positive impact on your health and wellness. In fact, it is one of the few diets that doctors actually prescribe for its health benefits. That said, there are also "french fry" vegans, who eat CRAP. I absolutely agree with you..some people go vegan but eat things like oreos or vegan fast food every day. NOT HEALTHY PEOPLE!! I try to eat more plant-based because it's cheaper, more delicious, and way healthier! Great info here! I have been eating vegan except for eggs, honey, and some random fish at restaurants! Sometimes the only GF option is a fish dish! I agree with Susie--there are a lot of vegans promoting the lifestyle who eat junk food...just vegan junk food. However, they may be doing simply for ethical reasons and not health! Cant wait to hear how your journey goes! Isnt it amazing what we dont miss that we thought we couldnt live without?! I know my taste buds have changed! They really have changed! I've always liked veggies but Dan used to hate them..now he eats them all the time! Gosh, I have watched a bunch of your meal prep on Snapchat and not even realized that you went Vegan!! I feel dumb now, LOL! But that is an admirable choice and that's so great that you and Dan are doing this together! Looking forward to more healthy meal ideas from you! That's good to know that I'm not forcing it down your throat! I don't like it when people preach all the time about life changes or make you feel bad if you don't have the same opinions. I tried very hard to go vegan a few years ago because I saw so many benefits. But after about 60 days, I just wasn't feeling good at all. I learned a ton about incorporating new foods, but found a little meat actually just made me feel better. Oh, I think everyone knows me enough by now to know that I'm an all-or-nothing person. This post is so informative, and I especially loved the colourful chart that illustrates the different food and how much protein, iron etc is in each one. Too many people make judgements based on ignorance. I remember when I found out that spinach has protein in it. It blew my mind! Yes seriously! People hear some stat from one area and take it as fact even if it's not true. I see this a lot in the paleo community where they try to condemn veganism and say it's the devil diet (their words not mine). It's so interesting what you find when you do a little digging! I've also learned that I'm an abstainer too. Give me a bag of candy and there's no such thing to me as "just a little bit" haha. I love how you and Dan made this change together, that's awesome! Same for me! I can never get jumbo sizes or those big bags at Costco because I will just eat it all in one sitting. I was vegetarian, like truly vegetarian, for about two years. It was great and I loved it. But then my son started getting a little picky with eating. We never nixed the dairy. And we recently started adding fish back into our diet. As much as I would love to be 100% vegan, I don't think it's for us. I have a really hard time keeping my family satiated on vegetables only and they're all so scrawny, it's hard to find enough calories to keep them full and growing. I go back and forth on it so much, though. I loved the way you approached this subject, Gretchen. Veganism has been a 'touchy' topic, mostly because so many people have jumped on the 'vegan bandwagon' for the wrong reasons (IMHO). I know from a friend of a friend that she went vegan (to lose weight), got crazy when she was eating outside her home, because God forbid she ate anything non-vegan accidentally, only to return to the Atkins diet after she didn't lose the weight she had hoped to lose. I mean, COME ON! Those type of vegans give other vegans a bad name! It sounds like you did a good amount of research and switched your diet for the right reasons. I am a moderator and would have a hard time cutting certain things (esp. dairy) completely out of my life, but I definitely pay attention where my meat/dairy/veggies comes from. I have been trying to eat less meat for many of the health benefits as I age and also for some of the moral reasons. However I don't have the support at home that you do.....it's a challenge for sure, but I think everyone should eat in a manner that suits their best and happiest life. I'm definitely really lucky to have a husband that is completely supportive. I hope you can find something that works for you and get some support from others! I have been vegan for 3 years for ethical reasons. It is honestly the best thing I have ever done and changed my life in so many ways. 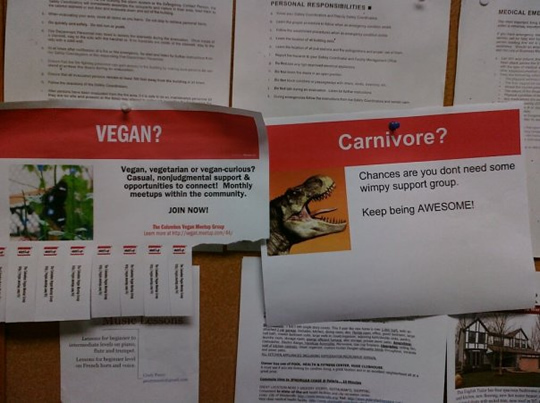 Do not hesitate to reach out to other vegans. We all love each other! I was able to connect with running groups and am now on a vegan racing team. It is brilliant and you all have at least one thing in common! Vegan baking is definitely different than "regular" but once you get used to it, it's no harder than using eggs and butter. You had to learn to use that stuff right? I recommend pinterest-ing chickpea brownies. They are AMAZING! You're absolutely right..vegans do love eachother! It was great to get connected to that community and have all of my questions answered. I'll definitely try chickpea brownies..sounds very interesting! Thanks for sharing your journey. It's obvious that you and Dan did this for your own reasons, and that makes all the difference. 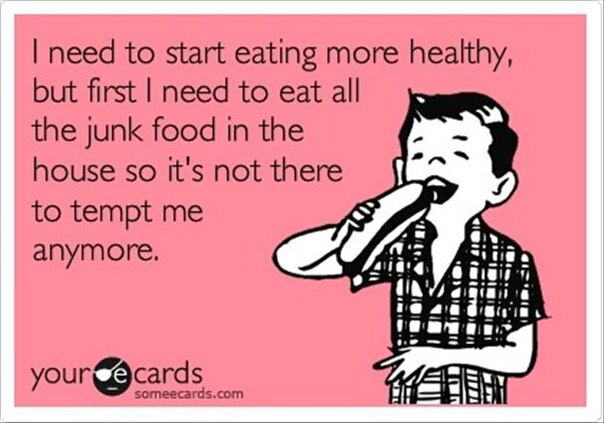 You have to want to eat this way and feel it's right for you, and when it's right for you it's so easy to stick with! I researched all the stuff for years and felt the same--there are always two sides to a story. My big a-ha moment was reading Temple Grandin's book Creating the Best Life for Animals. You probably know of her, but if not Grandin is an autistic animal researcher but NOT a vegetarian or animal rights activist. Her matter-of-fact account of factory farms she saw in her 30 years of work was eye-opening. I also did best by going "cold tofurky, ha ha" and was very strict for the 1st 5 years. This year was the first time that I've loosened a little. But whatever works! Also, definitely buy all the cookbooks from Post Punk Kitchen authors. They build dessert recipes from the ground up instead of trying to find substitutes for things in traditional recipes--and they're the most delicious! I'll have to look for that book and those cook books. That sounds amazing! Thanks Alexa! We're both loving it! Those infographics are so good! i'm not a vegan, or even vegetarian, but i am not the biggest fan of meat. i always roll my eyes when people say but what about protein? lol. don't worry, i get plenty! those infographics are super neat! the cholesterol levels are crazy scary. lol @ being a restaurantarian. it's true though.. it doesn't have to be all or nothing! although, like you i am an abstainer with some things, but a moderator in others. i know there are plenty of vegetarian/vegan gluten free-ers out there in the world, but for the most part a lot of vegetarian/vegan recipes i see have gluten in them. i don't like meat, it makes me feel crap, but gluten makes me actually sick.. so it's like, which evil? you know? and then sometimes i do like meat, so i am a hypocrite. i really enjoyed this post gretch! very informative and i love that y'all did your research and made this choice on your own for your own reasons.